A photographed photomural with numerous spoons filled with different types of food. A kitchen design from our tile stickers collection! Decals ideal to decorate your kitchen or cooking area. Decorate your kitchen with this superb design and give your kitchen a modern look and a great atmosphere to cook in. 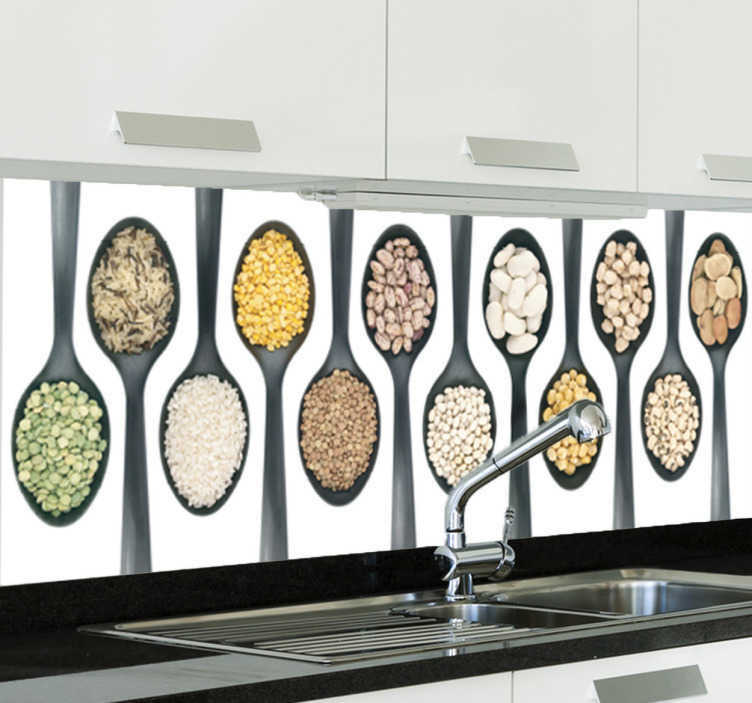 Personalising your kitchen has never been easier! This kitchen spoons design for kitchens is available in various sizes. Made from high quality vinyl, easy to apply and remove.